This Inside the Institutions looks at the International Monetary Fund’s surveillance activities. It includes an overview and current trajectory of IMF surveillance. The IMF was established in 1944 following the Great Depression of the 1930s and World War II, with the initial aim of seeking exchange rate stability within the international monetary system. The 1970s and 1980s witnessed an expansion of the IMF’s remit, to respond to countries’ balance of payments difficulties, most notably with the introduction of structural adjustment programmes. In 2012, the IMF’s mandate was broadened to include all macroeconomic and financial sector issues that it deemed to have a bearing on global stability (see Update 82). There are several mechanisms it relies on in order to deliver on its mandate, one of which is surveillance, established in Article IV of the Fund’s Articles of Agreement. The IMF conducts surveillance at the bilateral (member state) and multilateral (regional and global) levels. At the member state level (there are 189 member states of the IMF), surveillance is designed to enable the IMF to continuously monitor a country’s fiscal policies and overall economic conditions and to identify perceived risks, which it classifies as posing present or future threats to global economic stability. Having identified such risks, surveillance recommendations include suggested policy adjustments to mitigate against perceived triggers and root causes of economic instability. This forms the basis for the Article IV consultations, which are described in more detail below. While the recommendations made by the Fund through Article IV consultation reports are not binding, bilateral surveillance is mandatory for both the IMF and all members, who have an obligation to consult with the Fund for this purpose. Additionally, in 2010, the IMF made it mandatory for 29 member countries, which it deemed to have systematically important financial sectors, to undergo financial stability assessments, known as the Financial Sector Assessment Program (FSAP), every five years. Regional surveillance examines both economic developments within regions and the policies of currency unions. Every year, IMF staff hold separate consultations with the regional institutions responsible for common policies in four currency unions – the Euro Area, the Eastern Caribbean Currency Union, the Central African Economic and Monetary Union and the West African Economic and Monetary Union – including engagement with the IMF’s Executive Board. IMF staff also prepare separate Regional Economic Outlook reports, detailing recent economic developments as well as perceived opportunities and challenges for policymakers in countries in various regions. The IMF conducts multilateral surveillance through periodic flagship reports in consultation with its Board. In its 2011 surveillance review, the IMF stated that “developing top-down approaches of globally (or area-wide) relevant aggregates and policies, and ensuring that they translate into bilateral surveillance, is essential to ensure multilateral consistency and relevance of policy recommendations.” The biannual World Economic Outlook examines trends within the global economy and undertakes growth projections, while the Global Financial Stability Report focuses on the stability of the international financial system and markets, highlighting perceived vulnerabilities that pose potential risks. The Fiscal Monitor, meanwhile, makes medium-term fiscal projections and examines global public finance developments. Additionally, the IMF analyses the external positions of 29 of the world’s largest economies plus the Euro Area in the External Sector Reports. Every year, the findings from all the multilateral reports are collated into the Global Policy Agenda, which proposes responses to perceived challenges for the IMF and its member states. How do the IMF’s Article IVs work? Article IV activities begin with regular visits to the Fund’s member states. Although IMF staff monitor members’ economic outlooks continuously, these staff visits provide a more focused state-level examination and normally take place annually. During visits, IMF staff typically meet with the member state government and central bank officials to discuss the states’ monetary, fiscal and regulatory policies, and perceptions of growth and exchange rate stability. IMF staff are recommended by IMF guidance to request meetings with parliamentarians and representatives of business, labour unions and civil society. Based on these meetings, staff complete country evaluations for wide-ranging policy recommendations for reforms, referred to as Article IV consultations. These staff reports are then shared with the member state governments for consultation. In finalising the Article IV consultation, completed evaluations are followed by the presentation of the report to the IMF’s Executive Board. The Board then discuss the report and its views are summarised and presented in the final Article IV report in the Executive Board Assessment section alongside the staff report. The publication of IMF surveillance has undergone changes following the introduction of its transparency policy in 2013, which states that publication of Article IVs are “voluntary but presumed” and a member state’s consent to publish is typically obtained on a “non-objection” basis. It has become standard practice for most member states to allow the IMF to release the final Article IV report and the views of the Board on its website. However, the publication of summaries remains at the discretion of individual member states. Indeed, a 2017 paper by the IMF revealed that seven countries evaluated in 2016 had not given the IMF permission to publish their reports. Why does IMF surveillance matter? IMF surveillance reports are non-binding and member states do not have to act on the recommendations. Nevertheless, the IMF’s position at the apex of the international financial architecture and as a key determinant of both ‘sound’ economic policies and creditworthiness means that failure to follow advice can place countries in a precarious position in terms of access to IMF lending programmes, financial markets, investment outlook, and negatively impact their relationship with other international institutions. In such cases, as Domenico Lombardi and Ngaire Woods suggest, a state intending to borrow from the IMF may feel that the Fund has “bargaining power” to potentially enforce rules and policies through surveillance before approving any lending programmes. Even in cases where the IMF’s immediate lending leverage does not come into play, low-income countries (LICs) and emerging markets (EMs) may be motivated to implement the IMF’s advice to maintain perceptions of creditworthiness and build a good relationship. The IMF surveillance can therefore be significant in shaping countries’ macroeconomic policies, from tax structures and debt to the scale and scope of public sector provision of essential services. 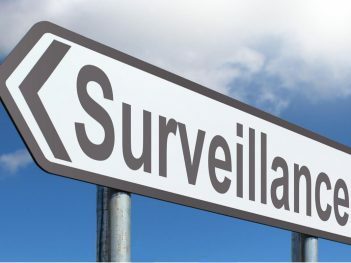 The Fund has emphasised that “the ability to influence policy making” is “the cornerstone of effective surveillance”, and has highlighted the importance of increasing the influence of its surveillance over national policies to gain “traction”. More recently, it has indicated that effective surveillance must generate more “multilateral traction” to influence policymakers across multiple states. In its 2014 surveillance review, the IMF found that its multilateral surveillance flagship reports were “highly valued” in surveys and interviews with country authorities and market observers. These surveys indicated that a large share of LICs and emerging markets see the IMF as their external advisor on macro-policy decision, with “no other institution coming close to that position.” The review noted that the member country authorities interviewed had indicated that the greatest value-added of surveillance came from the Fund’s work on fiscal developments and policy, and that they were looking to the IMF for more “concrete and actionable” advice. However, a study from November 2008 showed that in advanced economies, the influence of the IMF – particularly its surveillance activities – is limited by its perceived inability to integrate spillovers into its analysis and to adapt its advice so that assessments are thorough and relevant to individual countries. The IMF itself has even stated that advanced economies do not always find Article IV consultations practical, as they tend to have substantial “economic debate and scrutiny” of domestic policies. In its 2014 review, Fund indicated the priority for surveillance for advanced economies is labour market and fiscal reforms in order to “boost growth and restore sustainability”, while “public expenditure management and financial deepening” are priorities for LICs. A 2012 Guidance Note stipulates that the scope of surveillance in Article IV consultations in LICs is generally broader than is the case for other countries and can include areas like management of aid flows, natural resources, the promotion of financial deepening, and “macro-critical social issues” (such as poverty reduction and employment). Labour unions, academics, UN bodies, activists and civil society organisations have long argued that the types of macroeconomic policies the IMF promotes through its surveillance – as well as lending – undermine the capacity of states to fulfil their human rights obligations, exacerbate inequalities within and between countries, and disproportionately hurt the poor and marginalised (see Observer Autumn 2018). More broadly, the IMF has faced accusations of promoting western capitalist interests through neoliberal economic orthodoxy in low-income countries and “co-opting elites” in these countries to support its surveillance recommendations. It has also received criticism for promoting an economic model based on accelerating financialisation, whereby markets are the primary means to organise the economy and society (see Observer Summer 2018). The IMF carries out a comprehensive review of its surveillance activities to identify areas for potential improvements, with the next review expected in 2020. In the last comprehensive review in 2014, the IMF highlighted a need to focus on improving responses to emerging challenges following the 2008 global financial crisis. It found that surveillance around financial and macroeconomic analysis was fragmented, and further efforts were needed to integrate bilateral and multilateral surveillance. In light of the review, the IMF made commitments to integrate analysis of risks and spillovers, continue accounting for growth and sustainability implications in advice, and achieve greater impact by strengthening policy dialogue. The IMF has also increasingly incorporating what it deems to be “structural issues”, such as social protection, income and gender inequality. Using a piloting approach, the Fund has included analysis and recommendations on these issues in several Article IV reports since 2014. A 2017 civil society report found that in 2016, policy advice on gender issues was included in one out of five surveillance reports, while it had seldom received a mention in policy advice before 2015. In 2018, the IMF synthesised the lessons learned from its gender and income inequality surveillance pilots in three ‘how-to‘ notes for IMF staff. In response to this year’s interim surveillance review, the IMF Board emphasised that the piloting initiative had better integrated structural issues into macroeconomic analysis and highlighted that the IMF should extend coverage of macrofinancial surveillance and increase focus on debt vulnerability. The Board highlighted that the forthcoming comprehensive review should evaluate the traction of Fund surveillance in terms of proposed “take up” by member states and the importance of engaging with members and other stakeholders. 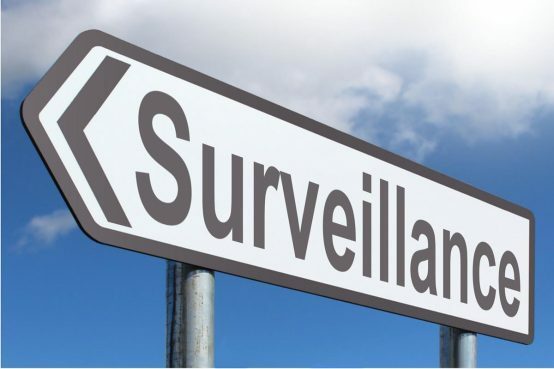 The 2014 review stipulated that surveillance reviews will henceforth take place every 5 instead of 3 years, which means that the next review was due in 2019. However, the IMF’s 2019 work plan indicates that the next review is delayed by one year and now scheduled for 2020. Forecasting models are crucial to how the Fund performs its role as lender and global economic monitor, but the assumptions underpinning these models are frequently derided as unrealistic. 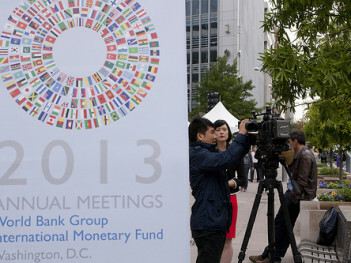 Detailed analysis of the communiqués from the 2013 World Bank and IMF annual meetings. The IMF rings more warnings about the costs of having an oversized financial sector, but fails to recommend stronger controls on the banking sector. The Fund has had to conduct another embarrassing “U-turn” to warn of the growing risks to the stability of developing countries, while cautiously accepting the need for capital controls in principle, but not necessarily in practice.